MARYLAND -- Potty training can make many parents nuts. So a Maryland mother decided to have some fun with the challenge, and it's gone wild on social media. 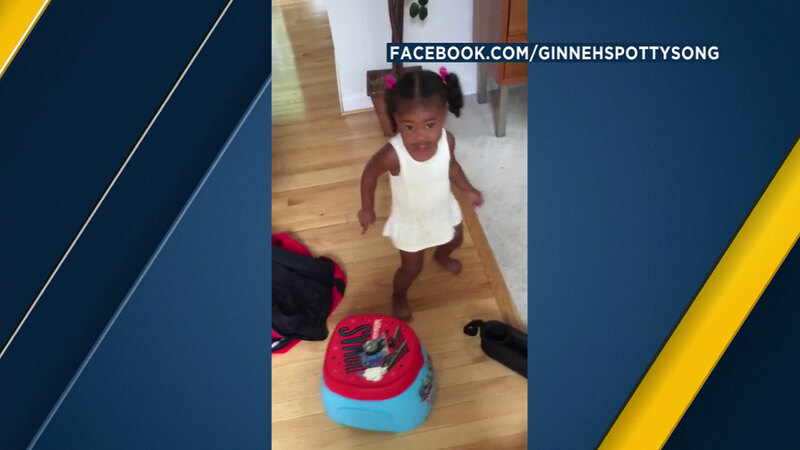 Two-year-old Ginneh Wright's mother said potty training was making her delirious. She and a co-worker made up a random, silly song called "Potty Time." After countlessly singing and dancing to it, Stacia Wright created a video for Ginneh to watch anytime. She posted it to her Facebook mom's group and the mass sharing began. Unfortunately, Stacia said Ginneh is still not following the song's instructions.